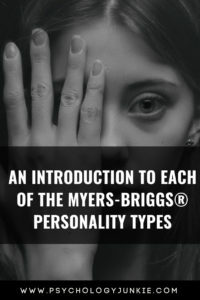 This article is meant to give you a brief overview of what each personality type is like based on their two most-used functions. If you want more in-depth information then be sure to click on the links at the end of each section. Not sure what your personality type is? Check out this online type indicator by Personality Hacker. (This is an affiliate link). ISTJs are specialists in every sense of the word. They enjoy learning everything they can about a subject that captures their interest. Their attention to detail knows no bounds, especially when they are pursuing what they love. ISTJs use a process called Introverted Sensing (Si) to filter information through their five senses and compare and contrast what is new with what they’ve experienced before. Because of this, they tend to have an innate awareness of changes or inconsistencies and they tend to like routines and a consistent lifestyle. ISTJs tend to take responsibility for the environment surrounding them, in fact, they tend to be so responsible that they may run short on time to pursue their own interests. When it comes to decision making, ISTJs objectively analyze information and look for fair, logical, consistent conclusions. They get irritated when people use emotion-based reasoning to solve problems or make decisions. They see emotions as fickle and untrustworthy, and believe that using them can lead to biased or irrational decision-making. ISFJs are known for being detail-oriented, conscientious, and consistent. They see current information in relationship to how it compares to past experiences. Because of this, they quickly notice changes and unusual patterns. They tend to have vivid memories of experiences that are personally meaningful to them and they enjoy re-playing these memories often. When they are enjoying an experience they think to themselves, “I’m really going to enjoy remembering this someday”. ISFJs make decisions based on what is in the best interests of the people they care about. They strive to maintain harmony and do things that will benefit people in real, tangible ways. This often means that they overwhelm themselves with the needs of their families and/or friends and forget to take time for themselves. It’s very important for ISFJs to have alone time each day because this gives them a chance to pursue their unique interests and passions in-depth. ESTJs filter everything they see in terms of what’s useful, what can be used to achieve goals, and what is known and trustworthy. They like to organize their world efficiently and make decisions using objective logic. They appreciate clarity, order, and competence and believe that each person should be held accountable for their actions. They get a sense of satisfaction from making decisions, checking off items on a to-do list, or planning to achieve a goal for the future. Because of their drive to have closure they are usually decisive. It’s very irritating for them to be around people who procrastinate or seem wishy-washy. ESTJs are very detail-oriented people. They like remembering useful facts and information that they can recall in the future when it’s needed. They have a great memory for what has worked before and what hasn’t, so they are always expanding their tool-book of tried-and-true ideas and methods. ESFJs are masters of observing patterns in human behavior. They use all the information they learn about people to achieve harmony and improve morale. Because they spend their entire lifetimes observing what works and what doesn’t in social situations, they are usually good communicators and influencers. Most ESFJs desire to help people and communities in real, tangible ways. They are often skilled at leading and directing people to achieve a common goal. Their eye for detail and their ability to keep order makes them good at organizing people according to their strengths to get a job done. ESFJs are fond of routine and positive traditions. They like to post-process their experiences, taking them apart and enjoying the positive moments or analyzing the negative moments. When they are experiencing something enjoyable they tend to think about how much they’ll enjoy reminiscing on the moment in the future. Making memories is important to them – they enjoy creating traditions and “highlights” in their lives that they can revisit again and again. ISTPs filter everything they observe based on how it fits into their inner, logical framework. If you could look inside an ISTP’s mind you’d see a vast blueprint full of detailed notes and filing cabinets. You’d see how every bit of information is connected to every other bit of information. ISTPs observe cause-and-effect to see what works, what is accurate, and what is merely a tradition/custom/emotion. Accuracy and truth are paramount to ISTPs. They enjoy collecting facts as well as hands-on information that they can apply to their mental framework. But it’s not enough that they just know things – they want to do something with what they know. They are analytical and experimental. They like taking things apart and getting to the core of how everything works. This can make them skilled troubleshooters, mechanics, or tacticians. ISTPs enjoy living in the moment. Rather than theorizing about what could happen someday, they prefer to stay tuned into what’s happening now, keeping an eye out for current opportunities and smart solutions. They are highly observant, detail-oriented, and logical. While they tend to appear stoic and reserved, they usually have a good sense of humor and don’t tend to take themselves too seriously. ISFPs are both realistic and idealistic individuals. They have a deeply-held set of core values that they strive to live by in every aspect of their lives. Living in harmony with their ethics and values is vital to them and they try to be as authentic as possible. Because honesty is so important to them they have a finely-tuned awareness of other people’s honesty levels. They are very observant about body language and tone of voice and can almost intuitively guess when other people are hiding something or are being phony or manipulative. This is why I sometimes like to call them “human lie detectors”! Because ISFPs use Extraverted Sensing (Se), they are very in-tune with what is happening in the present moment. They are keyed into their five senses and can sense nuances that other people miss – nuances in sights, sounds, textures, even flavors. They are usually objective in how they see the world and rely on facts and observable realities to inform their views on life. While they may have idealistic views, they are not afraid to get their hands dirty and be practical to solve human problems. Read This Next: ISFP Personality Profile. ESTPs are the ultimate realists. They are constantly present with what is happening in the moment and are anxious to interact with their environment whenever something new and interesting comes their way. They are often “jacks-of-all-trades” because they have such a broad, varied set of interests. They are highly observant, intensely logical, and seem to have a sixth-sense for opportunities to maximize enjoyment or pleasure. They also tend to derive joy from helping people in practical ways. Their demeanor is often easy-going, humorous, yet direct. Because ESTPs use introverted Thinking (Ti), they are constantly building a conceptual blueprint of how the world works and how everything is connected. They yearn or accuracy and you can see that in their choice of words – they tend to use very specific, concise words to describe their thoughts. They enjoy observing cause-and-effect and analyzing problems to find expedient solutions. ESFPs are simultaneously charismatic and practical. They yearn for adventure, but have an approachable, easy-going charm that makes them a friend to many. They are extremely realistic individuals who know how to tune into the present moment completely. Because they are so in tune with what’s happening as it happens they generally have quick reflexes and are able to respond to sudden changes with speed and precision. ESFPs, like ESTPs, tend to be “jacks-of-all-trades” – this is because their interests are broad and varied and change according to the environment they are in. They believe in maximizing the enjoyment of every experience so they tend to be adaptable and optimistic. Because ESFPs use Introverted Feeling (Fi), they have a subjective, non-negotiable set of core values. Others may not see this because those values tend to be private. In fact, ESFPs tend to be very reserved about their deeper feelings and emotions, only sharing them when trust has been deeply planted. They strive for inner harmony and serenity and don’t believe in pushing their agendas on others unless they are protecting a cause they fiercely believe in. INTJs filter information via a process called introverted Intuition (Ni). This means that they see things in various perspectives and notice future implications related to what is happening in the present moment. They go through life with a “if this, then that” approach to everything. They have a habit of seeing everything from so many different perspectives that they see connections and meanings that many other people miss. They love to explore ideas, theories, and abstract interrelationships and they enjoy considering future possibilities and scenarios. Because INTJs use Extraverted Thinking (Te), they strive to be objective and logical when they make decisions. They value non-negotiable truths and rules that make life more efficient. They prefer to have their outer world organized effectively so that they can spend more time inhabiting their mind and running perspectives past their consciousness. INFJs absorb information via a mental process called introverted Intuition (Ni). They channel data through various perspectives and vantage points and notice possible future implications. They enjoy considering meanings and abstract interrelationships. One of the things they are most famous for is glimpsing future realities, especially realities having to do with people. Sometimes these insights are based on a very small amount of external data. They thoroughly enjoy looking ahead, thinking ahead, and envisioning the future and what could be, or what will be. INFJs make decisions via a process called extraverted Feeling (Fe). They are concerned with how each of their choices will either positively or negatively impact other people. They care about harmony, maintaining morale, and improving the emotions of the people around them. This tends to make them skilled in the art of counseling. ENTJs are progressive, focused individuals who value objective logic and visionary thinking. They want to organize their external world in an efficient way and find a place for everything to work at its maximum potential. They filter incoming information in terms of what’s useful and what has the highest priority. In fact, ENTJs are constantly prioritizing and re-prioritizing their time. As a result, they are usually disgusted at the idea of wasting time because they view it as such a powerful resource. ENTJs are usually direct, honest people who value competence, clarity, and vision. Because ENTJs use a process called introverted Intuition (Ni), they enjoy looking at things from new and unusual perspectives. They like innovation, theories, and abstract interrelationships and are quick to spot plans and ideas that are likely to succeed. Their future-focused thinking allows them to be at the forefront of progress and new ideas in many situations. ENFJs have a natural insight into the need, desires, and motivations of the people around them. They pick up on social cues, customs, and expectations easily and are usually skilled at communicating and leading. They are highly empathetic and enjoy connecting with people on a deep and meaningful level, especially if they can find some hidden potential in the person they are speaking with. They enjoy seeing the unique gifts and abilities of other people and inspiring them to achieve great things. Because ENFJs use a process called introverted Intuition (Ni), they enjoy thinking about the future and possibilities and implications. They are more focused on tomorrow than today and are often highly ambitious and determined in their ideals and hopes for the future. They also tend to shift perspectives and look at situations from various angles and contexts so that they can further empathize with others and understand where they are coming from. INTPs are adaptable analysts who approach everything with a combination of skepticism and curiosity. They spend their lives creating a vast internal framework where every piece of data is sifted into the most precise categories and connected to everything else. They are able to modify and adapt their solutions based on the situation they are in and actually enjoy solving novel problems that require innovative and creative thinking. Because INTPs use intuition, they see possibilities beyond the present and obvious. They love to theorize and discuss abstract relationships and connections. They like to do things in new ways and are bored when they have to follow a pre-ordained routine. INTPs are quick to spot inconsistencies and logical flaws. They enjoy taking ideas and statements apart and reworking them – sometimes this makes them appear overly critical, but INTPs have a hard time understanding why anyone wouldn’t want accuracy to the same extent that they do. INFPs are imaginative idealists who value authenticity, individuality, and originality. Their deeply-held values guide their interactions with people and the decisions they make for their lives. They very much want to experience personal growth and improve the world that they live in. As intuitives, INFPs are fascinated by future possibilities and opportunities. They enjoy imagining all the different things that could take place in the future and they are often catalysts for improvement and understanding. When they are passionate about something they can work with great focus and determination to see their vision become a reality. INFPs are strong believers that every person should be allowed their own individual freedoms of expression. They honor the emotional and psychological needs of others, sometimes without even having to have those needs verbally expressed. In relationships, INFPs value depth and sincerity and look for people who share common values and ethics. ENTPs are enthusiastic and innovative. They see the world as full of possibilities that they want to see realized. They are always scanning their environment for new connections and opportunities and are good at strategizing ways to bring their ideas into the real world. As extraverted intuitives, ENTPs are good at seeing patterns and connections that aren’t as obvious to other types. They can see two seemingly disparate topics and find an unusual connection between them that sometimes confounds or amazes other types. ENTPs use their thinking process to internally take apart situations and ideas and analyze them from the ground up. They have a strong desire for accuracy and precision and they don’t mind offending people or tossing out traditions that seem irrational, inaccurate, or based entirely around emotions or social norms. ENFPs are inspiring and creative individuals who yearn for originality and innovation. Like ENTPs, ENFPs scan their environment for possibilities, opportunities and new ideas. They are good at brainstorming and finding random connections and relationships between seemingly disparate ideas. Along with their creativity and ingenuity, ENFPs are deeply in touch with their values and personal ethics. They crave authenticity in their relationships and want to make differences in the world that will positively impact themselves and others. ENFPs value harmony and goodwill with the people in their lives. They are good at adapting to the needs of others and tend to appear warm and supportive. That said, they don’t mind standing up for an unpopular opinion or bringing up a controversial topic if they feel that the situation they are in is lacking sincerity or open-mindedness.